Here are some hot products we found at the Las Vegas Convention Center, the Sands Convention Center and elsewhere during Comdex Fall 2000 in Las Vegas, Nevada. 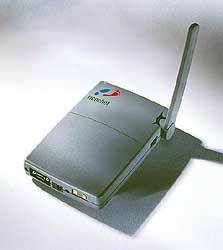 The word "information appliance" has been overused lately but 3Com just introduced a device worthy of the name. Audrey is a comfortable, tablet sized device designed to be as obtrusive as a toaster (only a bit more stylish). Like a toaster, it comes on instantly, connects to services you already own, and serves up tasty slices of bread-and-butter functionality to the whole family, including a shared calendar, address book, and "channels" of Internet content. Unlike other such offerings, Audrey can use your existing ISP and e-mail address, using its internal 56K modem or an optional DSL/cable-modem adapter. And, you are not limited to browsing watered-down "web clippings" but can browse the entire Web and set up your own "channels" available to you at a turn of Audrey's channel selector knob. Another real convenience is Audrey's ability to accept a variety of input. You can compose e-mail or jot notes in the calendar using the included pen stylus, or record voice notes, or (if you prefer) type on its infrared keyboard. All these features add up to a device that could easily inspire casual connectivity that the whole family will share and take for granted. blaxxun interactive, not content to be the granddaddy of 3D immersive communities on the Web, has released a complete, low-cost toolkit, called Instant Community, designed to make it easy to put a virtual world on every web site. Why bother making your site avatar-friendly? blaxxun believes that immersing your site visitors in an interactive, social environment will benefit the bottom-line in two ways. First, their figures show that 3D environments are nearly three times as "sticky" as conventional sites, holding the visitor's interest for around 40 minutes per visit versus 15 minutes on a 2D site. Secondly, 3D billboards are attracting unheard of click-through rates of 5% or 10 times the draw of most banner ads. Of course, inviting your visitor into your virtual parlor is a lot easier than actually building one. So, blaxxun set out to reduce the barrier to entry with its Instant Community (IC) toolkit, a sort of world-builder-in-a-box. IC includes a Place Builder tool that allows you to lay out the architecture, decor, and furniture of the place using lots of prebuilt parts or ones you design yourself. Your site visitors can jump right in, since no browser plug-in is required to participate, A Java-capable browser is all they need to run the lightweight (55KB) Java applet. Usually, they sign-in, select an avatar (or 3D surrogate persona), and wade right into the experience you've crafted for them. Once they get into it, more demanding users can download 3D Contact, a peddle-to-the-metal viewer optimized for their 3D accelerated graphics card. A fully-functional, 30-day trial version of Instant Community is available from blaxxun, allowing up to 3 simultaneous users. Of course, to build a public community, you'll pay more. But, starting at $7500 for 50 simultaneous visitors, Instant Community, can scale your site from five thousand registered users and up. You then can purchase more capacity as your community demands (and budget allows) more. Besides the draw of the 3D environment itself, another appeal of such environments is the same as any community: to see and be seen. So, when your visitors move beyond just visiting, they'll want to customize their avatar using Avatar Studio (AS), a $20 tool that lets you define your 3D persona from the ground up. Using AS you can define everything from your body dimensions, skin color, hair type, and clothing to how you wave hello. Once you've perfected your look, your avatar can represent you in any blaxxun community. Calluna keeps marching forward. 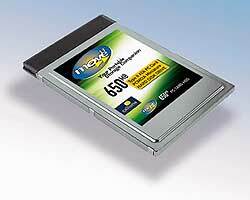 They are now demonstrating the new 650MB version of their Type II (single slot) PC Card drive. While it looks and acts just like their 260 megabyte version, the 650 has over twice the capacity - an entire CD-ROM’s worth of data can be stored on the drive. This Calluna moveIT drive facilitates easier installation of CD software on computers that don’t have CD drives, like many of the wearable computers, tablet computers and ultra miniature computer systems. Because many of these devices are smaller than CD players themselves, this drive provides efficient, small size, high capacity media. The Calluna moveIT 650 megabyte drive is also quite handy for general "backup", storage and transfer of files between conventional laptops in the field. Sure, laptops can be cabled together in the field in a variety of different ways, but they have to both be on at the same time. If you are transferring data in a vehicle, you sometimes don’t have enough room to get this accomplished, after all, you only have one lap. Other add-on, external hard drives generally have cables attached, are much larger and simply don’t fit completely inside the computer like the Calluna drive. These external devices sometimes need their own, separate power supply as well. The Calluna moveIT drive also doesn’t need a CD full of software to get it installed on your computer, since support is native in Windows 9X and above. The basic ATA PCMCIA drivers will support this drive in DOS and other operating systems. While the Calluna moveIT drive is quite small and easily fits in your shirt pocket, I recommend storing it in a cool blue, “gel” container found in Delkin’s Pro Imaging Kit. A great business use for this drive is to store a backup of your presentation when on the road. This way, you can make changes to the presentation during your trip and always have an up-to-date copy, even if your laptop is lost, stolen or crashes. If that happens, you take your Calluna drive out of its container, put it in any modern laptop with the presentation software installed and continue on. All without having to carry around cables, power supplies and wires. And you won’t have to install any special device driver software on the replacement laptop. I feel that the best feature of the Calluna moveIT drive is SIMPLICITY - it works just like a HUGE, really, really fast, floppy disk. You plug it in, save and transfer your data and you’re done - real Plug and Play. No need to download the latest 9 megabyte device driver just to use it. is a single platter, single head design. These guys tell me that they will soon be ramping up to produce a two headed version for a whopping 1.3 gigabyte of capacity in the same size! can operate in the 68 pin true IDE interface standard. This enables the Calluna moveIT drive to be used as the “boot” device for mobile or embedded applications. Sounds to me that this would be a great drive for the new Tablet PC! With DVD-ROM drives just starting to emerge, it's easy to forget that sometimes, technology leapfrogs the obvious progression. For instance, Constellation 3D (C3D) has just demonstrated such a possible leap in optical storage technology. By, departing completely from DVD's decades-old Compact Disc roots, C3D's Fluorescent Multilayer Disc (or FMD) technology my yield 20 times the capacity of maxed-out DVDs. The result is a single, CD-sized disc that can hold an astounding 100 gigabytes of uncompressed data. And, because of the technology's inherent parallel read capability, FMDs support much higher data transfer rates than DVDs. In addition, C3D is showing a credit-card sized ClearCard with a 5 gigabyte capacity. You've got to wonder who needs that kind of capacity? Hollywood is who. FMD's are perfect for high-definition video as television studios begin to convert over to HDTV. Likewise, movie studios are beginning to rely more and more on digital formats for production and even distribution of feature-length films. Imagine: A single, 100- gigabyte FMD could hold a mind-boggling 11 hours of HDTV-quality video programming. OK, all this sounds like gripping science-fiction, but can consumers ever hope to see this outside of the lab? Fortunately C3D has begun commercializing the technology by, for instance, adapting it to use common red lasers. Likewise promising, they recently signed an agreement with Ricoh to begin producing the industrial FMD readers and writers that will, hopefully, clear a path through which consumer devices will soon follow. Or, should we say "leap?" HP announced availability of its economical Pavilion 2755C home PC that challenges the competition to compete on two fronts: style and performance. Voice recognition software has been undergoing considerable changes in the past few years. Processors are now faster so you can speak normally and still achieve high recognition rates. Lernout & Hauspie has incorporated their latest technology into a family of Voice Xpress Version 5 product. They range from the “Standard” and “Advanced” editions to the “Professional” and “Mobile Professional” editions. Each edition has greater capabilities, but all are based on the same 307,000+ word vocabulary. Dictation right after installation. Training Voice Xpress isn’t necessary before using it, but with the L&H XpressStart technology, you can obtain accurate results after only 5 minutes of training. With greater training, even better results can be achieved. Filters those “ahhs” and “umms”. This is the first speech recognition product to utilize this type of filtering technology, which eliminates some common recognition errors. Fun interactive learning. Through the use of the included Xpress Café, you navigate through exercises and lessons, learning to use L&H Voice Xpress more productively. On screen command chart. A visual list of commonly used application-specific voice commands are provided on the desktop. This helps you remember them more easily. When I controlled Etak’s SkyMap 2000 GPS software with voice recognition, I found that the on-screen command chart was most helpful. Text narration. A human sounding, text-to-speech engine reads back the on-screen text to assist during the editing process. Easier chat. Your speech can be converted into Chat jargon and/or emoticons and L&H includes a comprehensive set of tools to assist and control “Chat” and “Instant Messaging” environments. Document command language. A flexible, easy-to-use language for editing and formatting documents is provided which properly handles the many variations of verbal commands that could perform a desired action. Supported software varies by edition. Expandable vocabulary. Up to 30,000 additional words of your own choosing can be added to the 307,000 word dictionary. Voice Macro capability. You can now place large blocks of text or bit-maps (signatures) easily into a document with only a voice command. This is just like a “hotkey”, but it is voice controlled. Voice applications. An improved version of TalkingTools is included. Using only your voice, you can search the Internet, solve math problems, schedule appointments or manage contacts. Palm compatibility. You can easily transfer information from the included Voice AddressBook, Voice Scheduler or Voice To-Do List to and from the Palm PDA. Microsoft Word 95/97/2000, Word Perfect, Microsoft Internet Explorer 4/5, Netscape Composer/Messenger/Navigator, MSN Messenger Service, Microsoft Chat 2.1/2.5, Microsoft Net Meeting, ICQ, Microsoft Outlook Express 4/5, America Online, Eudora Pro and Juno Service. Microsoft Outlook 98/2000, Lotus Notes 4/5, Quicken 99/2000, Microsoft Money 99/2000, Netscape Calendar, Microsoft Excel 97/2000 and Microsoft PowerPoint 97/2000. is optimized for the Intel Pentium MMX, II, III and Celeron processors along with the AMD K6 -2, AMD K-3 with 3D and Athlon processors. supports Creative Labs Sound Blaster 16 compatible or sound board supporting 16-bit 22 kHz recording. Speakers are useful for listening to TalkingText and Learning Applications. Laptop computers have generally put a premium on style, size and shape and while their processor performance is near that of desktop systems, video performance has tended to be below par. NVIDIA, however, plans to increase the video performance of mobile systems with their new GeForce2 Go GPU (Graphical Processing Unit). While some processor manufacturers feel that the latest generation of their CPUs (Central Processing Units) are up to the task of increasing this performance, they really aren’t. The rising demand for richer graphical user interfaces, real-time video viewing, larger screen resolutions and multiple monitor usage has made better graphical processing a necessity. The NVIDIA GeForce2 Go helps mobile users make up this performance gap. Now laptop systems can be used to watch DVD movies, play computer games or display dynamic presentations without having to reduce screen resolution, reduce displayed detail or reduce playback frame rate. Higher performance 3D graphics. Dynamic requires tremendous graphics computational horsepower. If it’s not there, the video game you are playing or your 3D demonstration of your company’s latest product offering begins to stop and stutter. Your choices are to lower the resolution, lower the amount of details displayed or use a desktop PC that has the performance. The GeForce2 Go has tremendous performance since it is capable of producing 18 million triangles per second on the screen (the more triangles the more realistic the image). 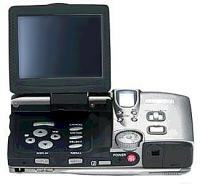 It also offers many features that mobile PCs never had in the past. These features are full hardware transform, hardware clipping, hardware lighting, advanced shading and cube environment mapping. Designed for mobile computing. During typical usage the GeForce2 Go consumes less than one watt of power. During peak processing, it can consume 2.8 watts, which is within 10 percent of competing mobile processors. Because transform and lighting calculations are performed directly by the GeForce2 Go, instead of the main CPU, much less power is consumed. Since the core voltage has been reduced, NVIDIA is able to provide stunning graphics with much lower power consumption. This helps the mobile performance computer achieve good battery life. By allowing the manufacturers to use external spread spectrum components, EMI (electromagnetic interference) can be reduced without have to use shielding techniques, which add more cost and weight to a mobile computer. The GeForce2 Go has also been designed to generate little heat in order to last a lifetime in a notebook with no airflow and no heat sinks. This device can operate in ambient temperatures up to 85 degrees Celsius. Imagine working your whole life during a 185 degree heat wave, without a fan. Better software driver compatibility. NVIDIA uses a unified driver architecture. By carefully designing the hardware interface in each new generation of chip and sophisticated software techniques, graphics processors can be improved, while maintaining compatibility with the existing NVIDIA drivers. No more “video driver of the month” downloads. Each new NVIDIA GPU is tested with older drivers, long before new drivers are even created. This way the stability and robustness of the NVIDIA drivers for desktop GPUs are leveraged to provide stable and reliable notebook drivers. With only one driver for all NVIDIA-based graphics systems, corporate IT departments can keep PCs and notebooks up-to-date more easily. Is the first mobile AGP 4X graphics controller with support for Fast Writes. can display a DVD movie on one screen, while the Windows desktop is active in another using its built-in “TwinView” architecture. can support HDTV resolutions up to 720 progressive. is three times faster than the nearest competitor and more than 10 times faster than today's standard mobile 3D processors. is capable of rendering nearly 300 million pixels per second, 50% faster than the nearest competitor. supports 8, 16 or 32 MB of display memory in both SDRAM (Single Data Rate) and DDR (Double Data Rate) memory configurations. This is the first notebook GPU with support for DDR memory, which delivers responsive graphics regardless of frame buffer size. complements Intel Celeron, Intel Pentium III and AMD Athlon processor families. Utilizes the latest 0.18 micron silicon process technology. The GeForce2 Go GPU is in production now. Systems featuring it are expected to be available in the Spring of 2001, worldwide. 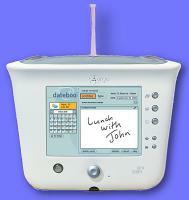 Toshiba is the first customer for this device. Look for the GeForce2 Go GPU inside an upcoming notebook. The latest DVD recorder from Pioneer New Media Technologies not only reads and writes DVD-R and DVD-RW media, but also reads and writes CD-R and CD-RW media as well. This is the first combination recordable DVD/CD drive for PC use. It makes sense that Pioneer is first to make this combination drive because they invented the world's first DVD-R drive. This new drive also records DVD-R discs at 2X, another industry first. It ships during the first quarter of 2001. Due to its expected low cost and compact design, Pioneer's DVD-R/RW drive will be used primarily for digital video editing and archiving, as well as traditional data and image storage. DVD-R is a write once format which is compatible with most DVD Video players and DVD-ROM drives in the marketplace. 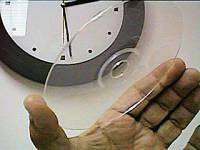 DVD-RW is a re-recordable format that can be used to record, erase and re-record data or other DVD discs, over a thousand times. DVD media can store 4.7 GB of data per side. The maximum reading speed of this new drive has not been determined (It doesn’t even have a model number yet). Pioneer plans to continue sales of its external DVD-Recordable drive, the DVR-S201. The Ricochet WebConnect! modem connects PCs, laptops or palmtops, via a serial or USB connection, to a 128 kbps wireless service. Now mobile users have true, high-speed access to the Internet, without tying up their cell phones. Since this access is “instant on”, mobile professionals now have secure access to information in both corporate networks or anywhere on the entire Internet, when they need it. Since the speed is over twice as fast as the mythical 56K land-line via dial-up connection, mobile users now have a much better connection than the majority of dialup users. This 128K service is currently being provided by Metricom. Wireless WebConnect! has recently announced customer support for entire Metricom nework in the major metropolitan markets of Dallas, Houston, New York, Philadelphia, Baltimore, Phoenix, San Francisco, San Jose, Atanta and San Diego. While Chicago (Reviews Online's closest metro area) isn’t amongst these supported cities yet, we have found out that Chi-town will get access by early 2001. Now wireless access is making more sense. At 128K bps, “road warriors” now have fast, ISDN-rate wireless access, unlike the previously available 14.4 cellular and 28.8 wireless Internet connections that some of my business associates rave about. These slower speeds always seemed far too slow to get any real work done, unless it was for a specific task, using customized software applications that would efficiently utilize this limited bandwidth - not general purpose use. Now full screen graphical applications can more easily be used in the field, away from the office, since this 128K service will provide sufficient bandwidth for information gathering, order transmission and E-mail traffic WITH attachments. - 5.125" x 3.5" x 0.875"
Ricoh calls its new 3.34 megapixel camera an "i-camera", because it is the first camera with built-in Internet features. But, as intriguing as that sounds, this only begins to tell the whole story. In fact, the RDC-i700 is the first camera designed to assist the digital photographer's entire workflow, from concept to Web publication. This could be a tremendous boon to anyone capturing images in the field for sharing on the web. The RDC-i700's first unique workflow innovation is its JOB Navi Image Capture Guide. Essentially this is an application that starts working even before you leave the office, letting you create a checklist or simple database of shots you intend to take. A real estate broker might, for example, load the camera with details about properties he/she would inspect that day. Then, as he/she visited each property they could immediately associate each shot, in-camera, with notes about each feature of interest. With this camera, you'll have no more excuses for missed shots or "mystery" shots. Of course, even in the field, you can add new shot notes to the checklist or annotate existing shots on the fly using the camera's large 3.5" touch screen and the included stylus. You can scribble your notes freehand or tap text into the on-screen keyboard. 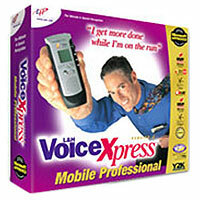 Or, if you prefer, you can record voice memos to attach to your pictures. In addition, the camera includes basic point-and-click image processing functions such as crop and resize. Once you have captured all the images in your checklist, Ricoh's second startling innovation kicks in: Full-featured, PC-free Internet connectivity. With the optional communication card, the camera can not only dial-up and upload pictures directly to your web site (via FTP but it can automatically create HTML galleries of those pictures based on templates tailored for your site design. Prefer video? You can build a slide show within the camera and play it on any television. The RDC-i700 will even fax black and white copies of your images to your, shall we say, more "retro" clients or editors. We haven't even touched on this device's respectable features as a digital camera. But the real story is that Ricoh has designed more than a point-and-shoot camera; it is a point-and-publish camera. Part secretary, part PDA and part webmaster, the RDC-i700 could be a terrific field photographer's assistant: A camera equipped to lend a hand before, during, and after you click the shutter. In a space slightly larger than a 1960's transistor radio, SaintSong has managed to cram all the functionality of an ENTIRE desktop PC. The Espresso is not only decked out with desktop-class RAM, Celeron processor, and hard drive, but also connectors for VGA out, TV out, mouse, keyboard, 2 USB ports, earphone and microphone. If that’s not enough, SaintSong has included a TouchPad on the face of the unit, so all you need is a monitor and keyboard and your all set. In fact, due to its small size, it could easily be mistaken for you new “mouse”. 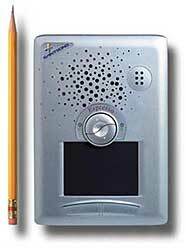 Even a slimline CD-ROM drive is larger than the Espresso computer. Instead of just carrying around a portable storage device or removable media, you can carry an entire computer INCLUDING the media! 2.5” hard drive - 9.5 mm - supports PIO mode up to 4, UltraDMA 33/66. Video output compatible with VGA CRT monitor, Video input LCD panel, projector or NTSC/PAL TV. S- Video port. Docking station is available which includes floppy, 24X CD-ROM drive, serial and parallel ports and 2 more USB ports. An alternate version replaces the CD-ROM drive with a DVD drive. Weighs only 460 grams (about a pound) working weight - with fan and hard drive. Power adapter is 250 grams. HDTV is coming. You want to get started with it, but are not quite sure enough to lay out $10,000 for the full system at the store down the street. Besides, that 19" monitor you bought looks pretty good on your new PC. Well, for less that $400, you can now have full resolution HDTV by putting the Telemann Systems HiPix DTV-200 PCI card in your PC. It supports ATSC terrestrial broadcasts at full resolution on either a PC monitor or television. With the HiPix DTV-200, you can also store, record and replay programming at the same high quality 1080i resolution. Now, you can store a program and watch HDTV programming at your own convenience. This Telemann card provides Dolby Digital 5.1 audio and is designed to take any video input resolution and transcode it to 720p or 1080i resolution. All 18 ATSC formats, up to 720p and 1080i, can be recorded to an MPEG-2 video stream. 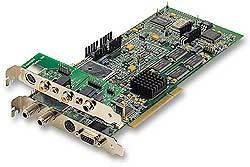 This card is also equipped for IP multicasting and video scaling of camcorder or VCR sources. The first year of the 21st century is almost over - let’s get into HDTV now! Of course, the HiPix DTV-200 comes with an infrared remote.